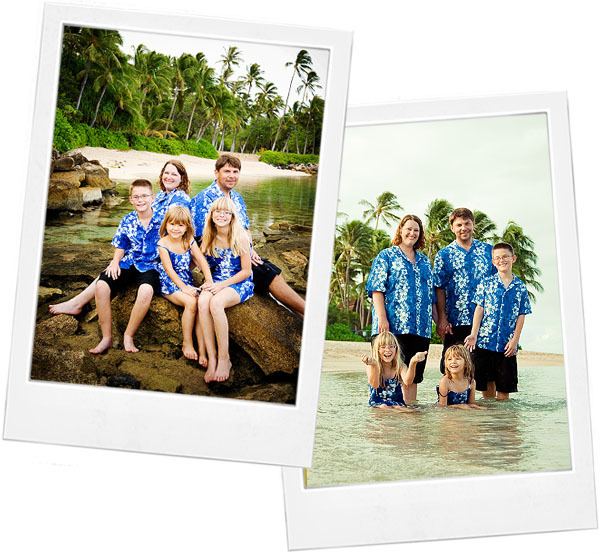 Windwardskies Photography provides custom on-location portraiture of children and families on the island of Oahu, Hawaii, including Honolulu, Waikiki, Kailua, Kaneohe, the North Shore, and Ko Olina. Sessions can take place on the beach, botanic gardens, around town, or at your home or other special location. Your family will be captured as you truly are, so relax, have fun, and grab your towel! Spring is almost here! Celebrate with beautiful outdoor portraits of your child. Spring minis include a brag book and start at just $595. 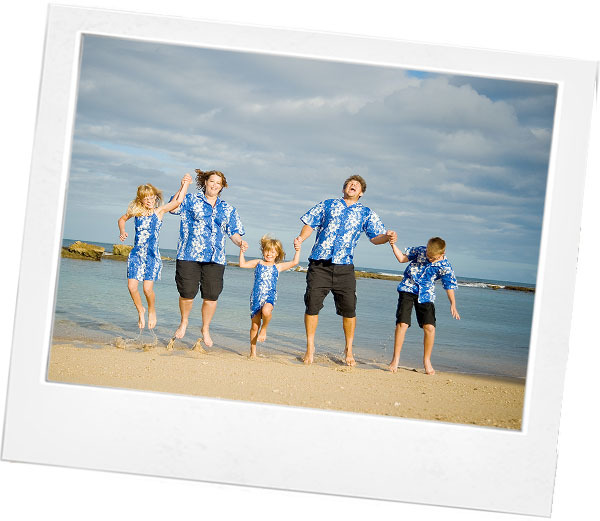 When Arizona photographer Heather Frackiewicz of Lovebugs Photography told me her family would be vacationing on Oahu and wanted a family portrait session on the beach, I knew we were going to have fun. Heather’s three children were so polite and sweet, with beautiful smiles and contagious laughter. I did underestimate just how wet everyone would be by the end. And by everyone.. I mean myself as well. Good thing the D3 is weather sealed- when I said “See if you can splash me!” these kids rose to the challenge. I loved it! Heather, thank you so much for being patient with me through my kids’ illnesses and the baby boom of the past few weeks. Your photos are in the mail and should be arriving very soon. I hope receiving them makes you smile as much as I did taking them! Love the 1st two family images. Adorable! The kids are adorable as well. Well done. I wish for a chance to go to Hawaii and be photographed by you:) Great job! I’m with Justyna, I want to go to Hawaii and have you photograph my family! These all turned out so cute, I love the one with them splashing! I love the first one so cute!! Comment to win a $20 gift card from Target and a $50 Windwardskies Photography gift card! 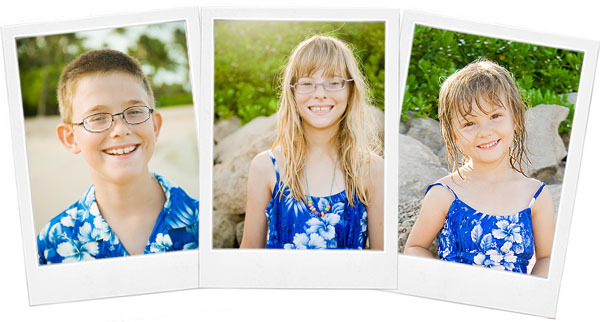 Enter to win a $1500 Portrait Collection package from Windwardskies Photography! Is your baby a rockstar? Submit a photo to win Star 101.9’s Baby Rockstar contest. Or maybe you have the messiest kid around- enter KSSK’s Messiest Kid contest. Mention either contest when booking your spring session and receive a complimentary 11×14 fine art portrait. For photographers: Birth announcement template available for download! Sessions are now being booked for July, August, and September. Book your session before July 31 and mention the new website special to receive a complimentary 11×14 mounted portrait with your session. All content ©2008 Lisa Hoang.